Date: Friday, 19th May 1967. 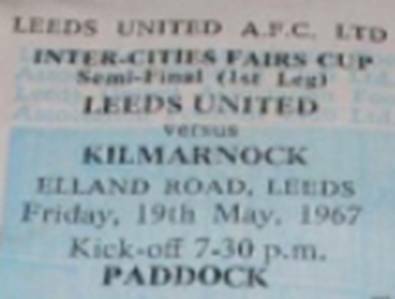 Competition: Inter-Cities Fairs Cup, Semi-Final, First Leg. 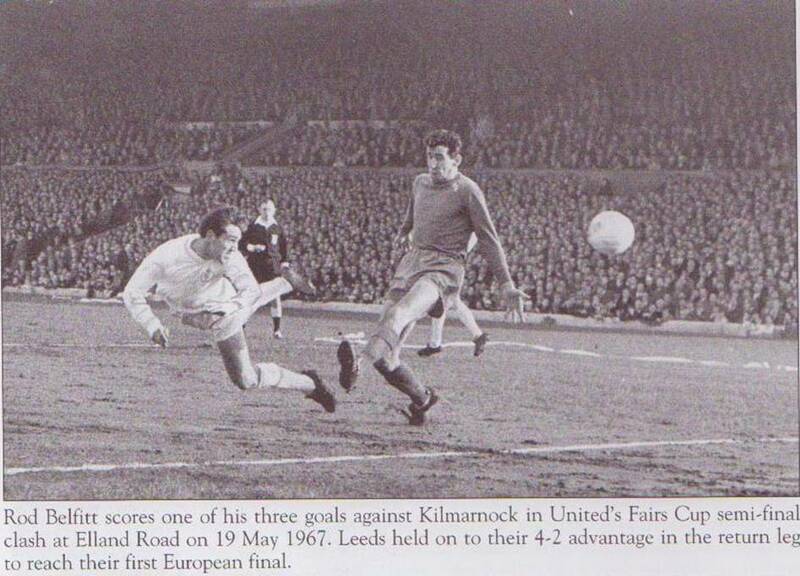 Score: Leeds United 4 Kilmarnock 2. Scorers: Leeds United: Belfitt (3) Giles (pen). 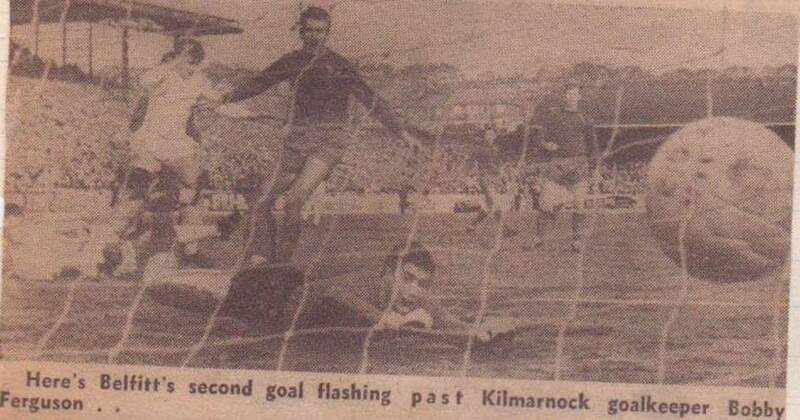 Kilmarnock: McIlroy (2). 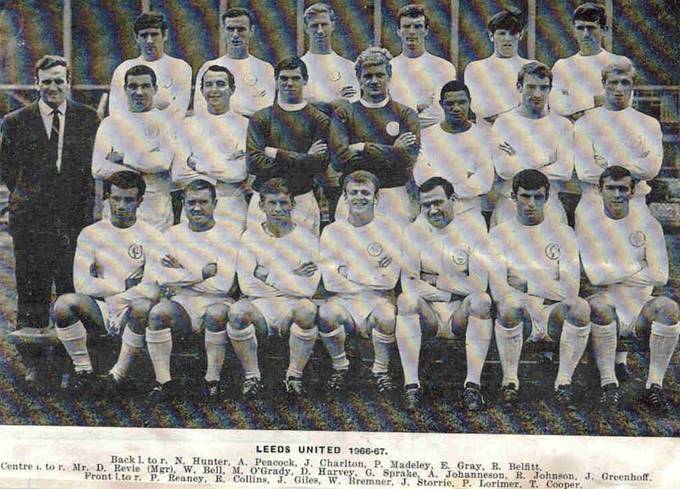 Leeds United: Sprake; Reaney, Bell; Bremner, Madeley, Hunter; O’Grady, Lorimer, Belfitt, Giles, E. Gray. 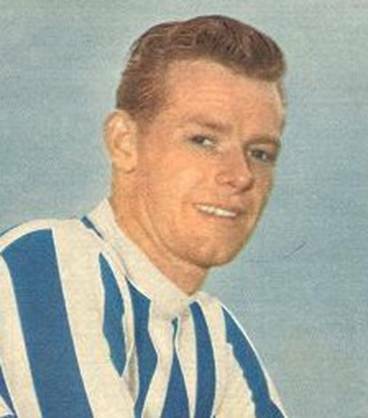 Kilmarnock: Ferguson; King, McFadzean; Murray, McGrory, Beattie; Watson, O’Connor, Bertelsen, Queen, McIlroy. 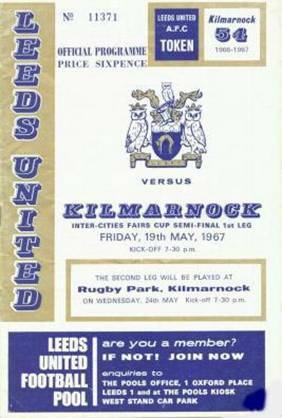 Now only Kilmarnock stood between United and a place in the final. 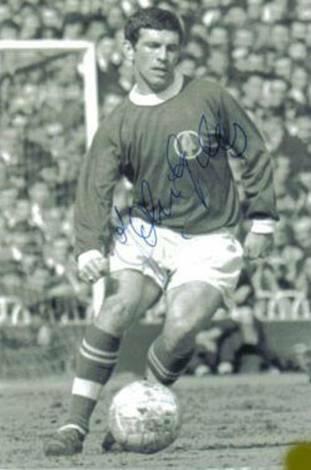 It was a memorable evening particularly for Rod Belfitt who scored his first hat-trick for the club in the first half-an-hour, beating Scottish international goalkeeper Bobby Ferguson, who was soon to join West Ham United for a record fee for a goalkeeper of £60.000, with two superb headers and a fine shot. 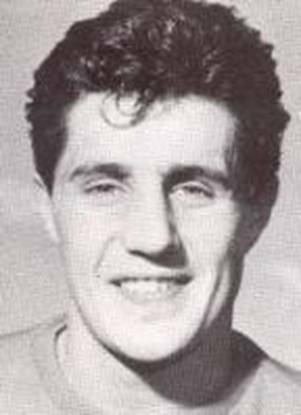 Johnny Giles added a fourth as McIlroy twice got his name on the score-sheet for Kilmarnock as United took a two goal lead into the second leg with a 4-2 victory. 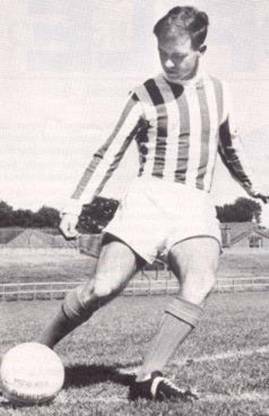 Kilmarnock left out their regular right wing pair of Tommy McLean and Jackie McInally and replaced them with half backs Watson and O’Connor, leaving little doubt that they had not come with any attacking intentions. 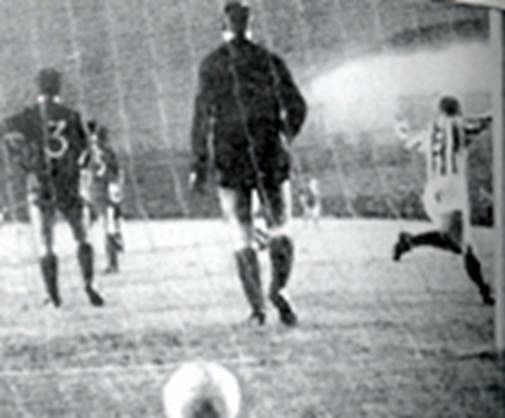 Their plans disintegrated in the first minute when Belfitt took advantage of a defensive misunderstanding between keeper Ferguson and Jackie McGrory to nod the ball home. 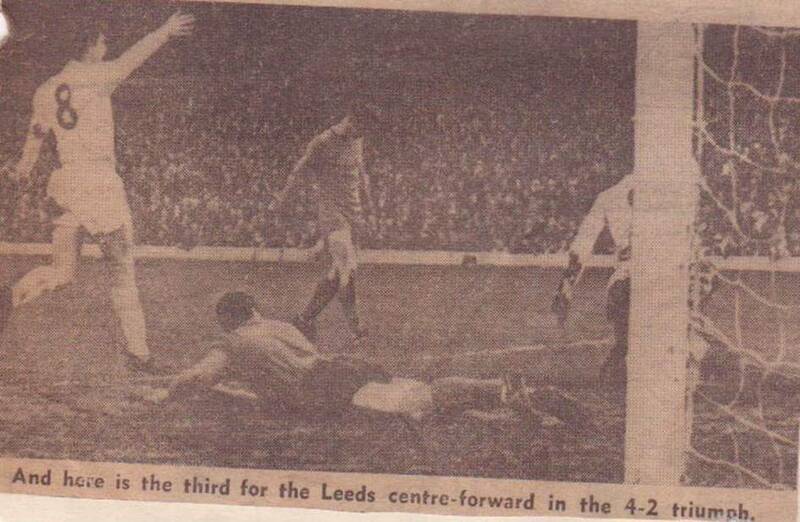 Three minutes later Belfitt dived spectacularly to head in a Mike O’Grady cross to put United two up and it all seemed too easy, but United were made to pay for their complacency as first Carl Bertelson and then Gerry Queen went close before Brian McIlroy hit the net in the twenty-first minute. United were playing with gay abandon particularly in defence and a poor back pass almost let McIlroy in, while the usually impeccable Madeley almost let Bertelsen score. 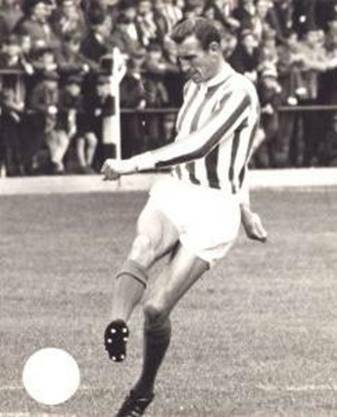 Belfitt settled United’s nerves as he slid in a cross from Eddie Gray after a fine dribble by Johnny Giles. 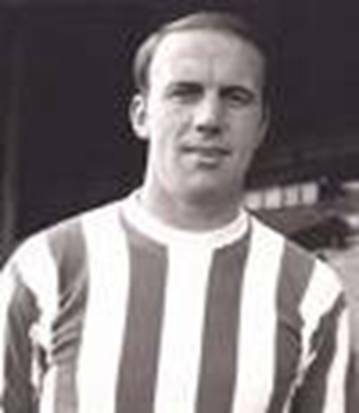 However Gray was guilty of a miscalculation when he attempted a thirty-fifth minute back-pass to Gary Sprake and it got stuck in the mud allowing McIlroy to pull a goal back. 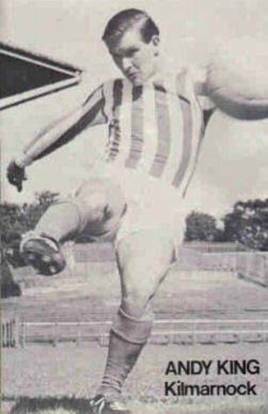 It was Belfitt again to the rescue as he once more had the Kilmarnock defence all at sea six minutes before half time, causing McGrory to handle to prevent Belfitt from getting the ball. 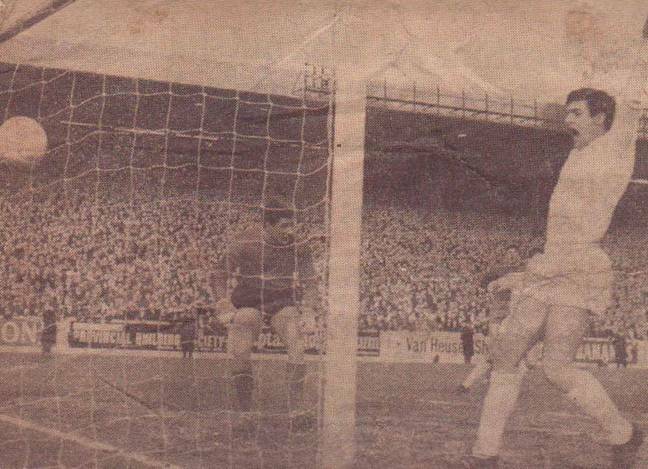 Giles coolly slotted home the spot-kick to send the teams in at half-time with United 4-2 in the lead. 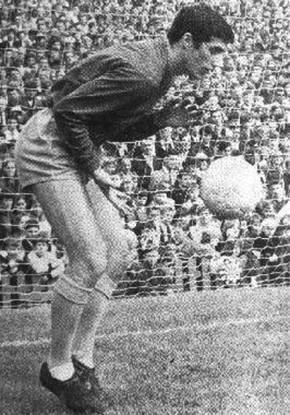 Although United hit the woodwork three times and Kilmarnock once, there was no change to the score and they knew their defensive work needed improvement, but with Mike O’Grady devastating on the wing and Belfitt a constant threat they had been the better team and deserved their two goal lead. It looked as though United were favourites to go through to the Final and Eintracht Frankfurt had emerged as favourites to join them with a 3-0 home win over Dynamo Zagreb. Back Row: Andy King, Matt Watson, Bobby Ferguson, Jackie McInally, Jackie McGrory, Eric Murray. Front Row: Tommy McLean, Bertie Black, Frank Beattie, Dave Sneddon, Brian McIlroy. 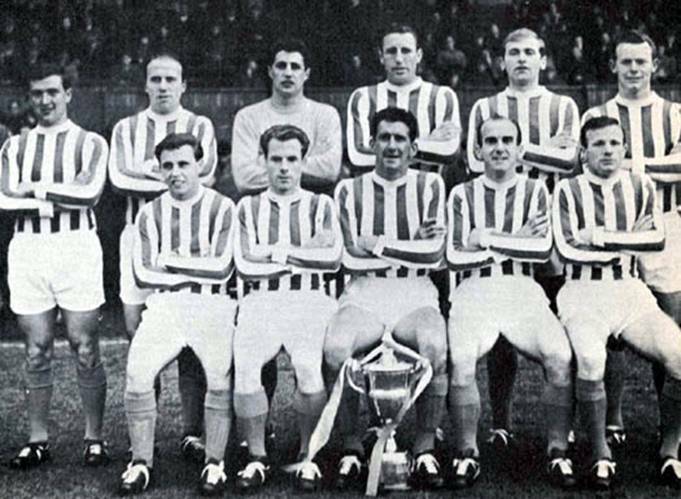 Jackie McGrory and Captain Frank Beattie were all part of the defensive Kilmarnock line-up.